The Polyphagous Shot Hole Borer (PSHB) is a tiny invasive black beetle from Asia that is smaller than a sesame seed (2mm). 1. What does this beetle do? The PSHB beetle (Euwallacea fornicatus) creates tunnels, or galleries, in the trunks and branches of host trees and lays their eggs inside. 3. What can you see on tree trunks? Round 1mm wide entry-holes to beetle tunnels. Look for dark, wet staining; thick gumming; streaks of white powder or fine sawdust coming from holes. Symptoms are unique to each tree species. 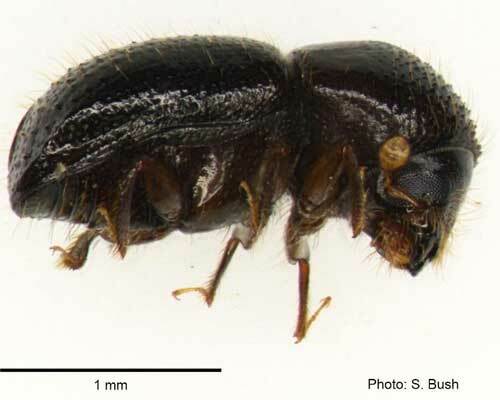 The female PSHB beetles carry a fungus (Fusarium euwallaceae) from tree to tree. The fungus grows in the tunnels becoming a 'vegetable food garden' for larvae and adults. 4. What happens to the tree? The fungus in the tunnels is really bad for trees as it disrupts the flow of water and nutrients to the tree, causing branch dieback and ultimately the death of the tree. 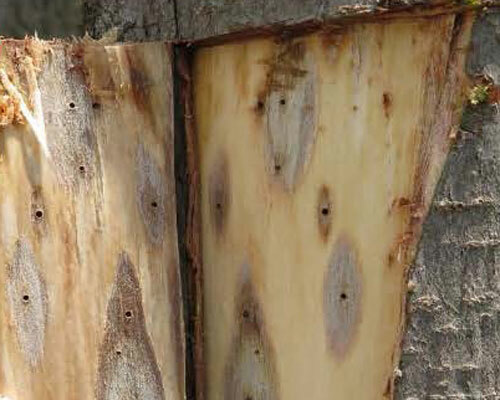 Have you seen shot-hole borers or fusarium dieback? A devastating threat to Cape Town's trees. Have you seen PSHB beetles or fusarium damage in Cape Town? Use the City of Cape Town PSHB reporting tool to report a suspected sighting. What tree species are affected? What tree species are affected in South Africa to date? Download a FABI ID fact sheet. When did FABI discover PSHB? You have found a tree with PSBH beetle & fusarium damage. You need someone to check it? 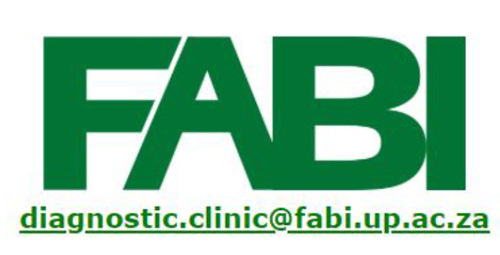 Follow FABI protocols to send the material to FABI for checking. 2. 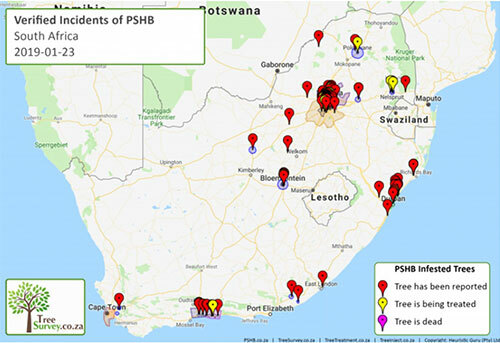 The polyphagous shot hole borer (PSHB) and its fungal symbiont Fusarium euwallaceae: A new invasion in South Africa, by T.Paap et al, Journal of Australasian Plant Pathology, 2018. Where has the PSHB beetle invasion been found in South Africa? 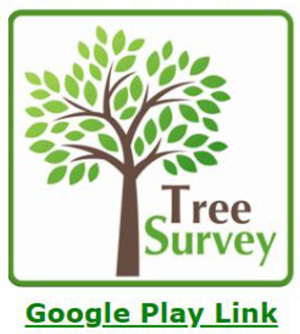 Tree Survey has a location map that is updated every month. 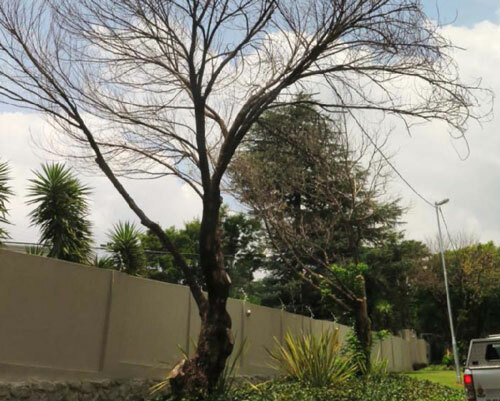 Discover how the Johannesburg Urban Forest Alliance (JUFA) is dealing with the PSHB beetle invasion in Gauteng. 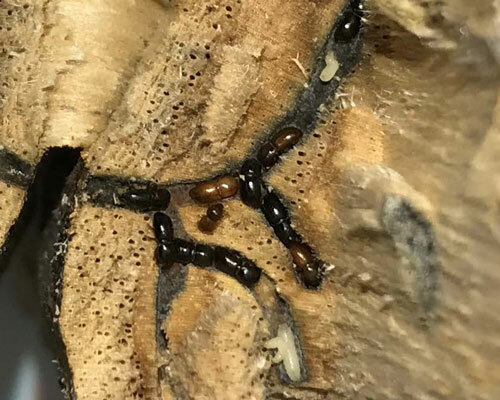 An Asian borer beetle and a fungus found in KwaZulu-Natal last year is killing street and garden trees. Here's how to recognise damage to your trees. Our thanks to the pioneering research, maps & images supplied by organisations who have prepared fact sheets based on the PSHB beetle invasion in Gauteng.